Imagine someone colourful with shades of red and yellow on the cheeks, green and purple in the hair, dancing in joy with a mouth stuffed with gujiyas. That’s the lively and exciting spirit of Holi, one of India’s biggest festivals. The festival is all about fun, family and friends. 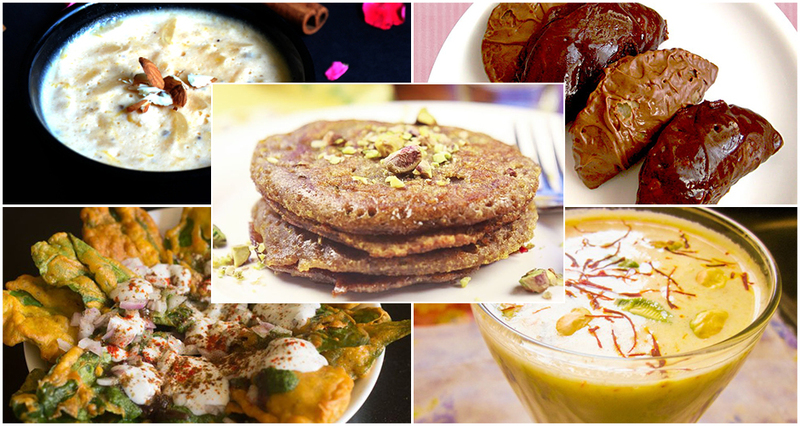 And like any other Indian festival, Holi too makes one think of all the tempting festive snacks. While the juicy gujiyas and refreshing thandai are the must-haves in the Holi celebrations, there are many other snacks with twists that make your party more exciting. It is obviously a better idea to make some of these snacks at home, especially when you have small kids. Step 1: Mix flour, ghee, water and salt to make a hard dough. Leave it aside for half an hour. Step 2: Cook condensed milk till it turns brown. Now add sugar and cardamom powder.Step 3: After the mixture cools down, put some chocolate chips and mix. Step 3: Roll a small portion of dough and cut it into two. This is when you do the filling of the mixture. After filling, lock the edges with the help of some water. Step 4: Deep fry this, after which put the fried gujiyas in sugar syrup. Step 5: Prepare some chocolate syrup by mixing chocolate, fresh cream and microwaving for 2 minutes. Step 6: The final step is to serve the gujiyas with some chocolate syrup on top. Step 1: Mix ragi atta, whole wheat atta and some oats (ground) together. Ragi atta needs to be the main atta here and oats are minimal. Add milk in order to form a runny paste. Add sugar (ground) and mix well. Step 2: Put some oil in a pan and pour a little bit of this batter right in the centre. Once you see the edges are turning away, brown the other side by flipping it. Step 3: Take it off when it is a little soft. Step 4: Dry roast grated coconut with cardamom powder or melon seeds. Add sugar and mix well. Step 5: Put this mixture on the pua that you made and fold it. Serve. Ah! Thandai is quintessential to any Holi party. Unless your kids are suffering from cold or a cough, this drink adds so much fun and energy to your party. Step 1: Soak strands of saffron in milk and boil it. After that, leave it for 15 minutes so that the saffron releases its rich flavours. Step 2: Grind the thandai spices and nuts together: melon seeds, cashews, poppy seeds, cinnamon powder, fennel seeds powder, almonds and pistachios. Step 3: Boil milk and put the ground masala. Whisk so that no lumps are formed. Step 4: Add sugar according to taste and boil it another time. Let it cool. Step 5: Add the saffron flavoured milk and some rose water to this. Let it sit for an hour or so. Step 6: Strain this. Garnish with rose petals and serve. Step 1: Pour coconut milk and add some jaggery in a mixing bowl. Step 2: Add a pinch of cardamom powder, diced muskmelon and saffron to this. Mix well. Step 3: Refrigerate and serve chilled. If your child likes the taste of strawberries, you can try making strawberry phirni by soaking some rice in water and then grinding. This is added to boiled milk with sugar, cardamom powder and finally strawberry puree. If your child also does not like to eat greens, this is a great chance to make something very interesting from spinach. Step 1: Rinse spinach leaves properly and pat dry. Step 2: Take besan, rice flour, turmeric, salt, semolina, red chilli, some sweet soda and salt. Add some water and make a normal batter. Keep it aside for 10 minutes. Step 3: Put some oil in a pan on medium heat. Take spinach leaf, coat it in batter properly and fry it till it becomes crispy. Remove the excess oil by putting it on a paper. Step 4: Once these pakoras are made, put some mint chutney, yogurt and tamarind chutney on top. You can also add some boiled chhole to it. Sprinkle masala as per taste and serve it hot. Since the pakoras are served with chutney and yogurt, they have to be consumed fast.